What is the GMC Sierra Maintenance Schedule? If you use a truck like the GMC Sierra 1500 for your Rome business, if you are looking for a GMC Sierra for sale for your Acworth commute, it’s important to know how to keep in top condition. 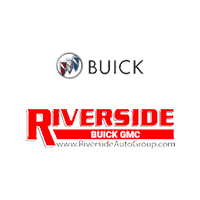 Find out how easy it is with the GMC Sierra maintenance schedule from Riverside Buick GMC, and when it’s time for brake replacements or an oil change, rely on us! When your GMC Sierra hits these mileage markers or time limits, be sure to take it in to your local GMC service center. Our friendly staff is happy to answer any questions you might have about your truck. Every 7,500 miles: Tire rotation, check engine oil and filter, check engine coolant level, check windshield washer fluid. Every 2 years or 22,500 miles: Replace passenger compartment air filter. Every 4 years or 45,000 miles: Inspect evaporative control system, replace engine air cleaner filter, change transfer case fluid if equipped with 4WD and GVW over 8,600 pounds. Every 97,500 miles: Replace spark plugs, inspect spark plug wires, change transfer case fluid if equipped with 4WD and GVW under 8,600 pounds. Every 5 years or 150,000 miles: Replace brake fluid, drain and fill engine cooling system. Every 10 years or 150,000 miles: Visually inspect accessory drive belts. Learn about more new models available in the Canton area, like the GMC Acadia available with the Tow Vision Trailering System and Bluetooth technology.